Bill Bernstein is the chairperson of Manatt's Board of Directors and leader of the Manatt Health group. 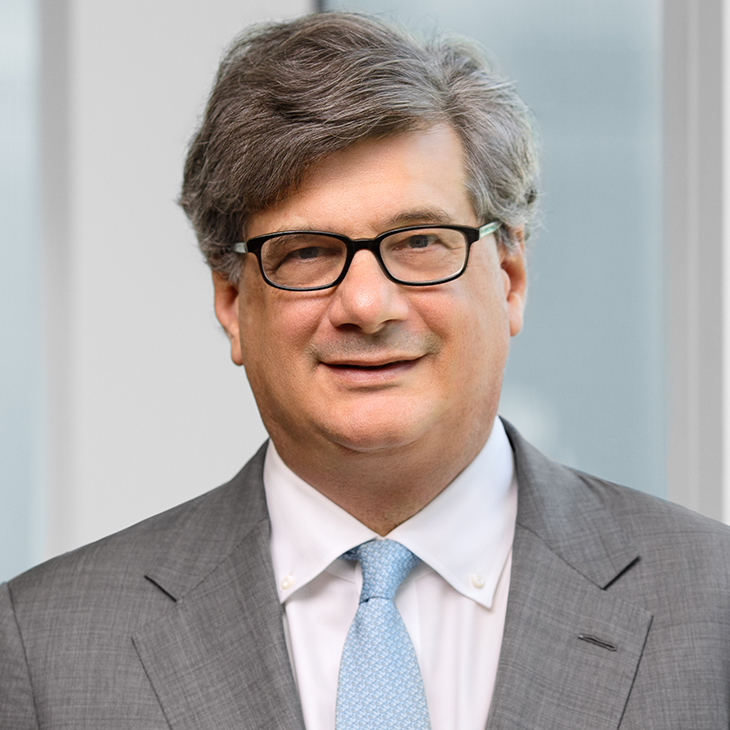 His practice concentrates on providing strategic, business and legal advice to clients in the healthcare industry, including provider organizations, managed care companies, emerging companies and financial institutions. He has led engagements to create new business models for the organization and payment of health services, developed plans for the broad use of health information technology to support new care delivery systems and counseled numerous states on implementation issues resulting from health reform. He has also assisted clients in raising billions of dollars of public-sector financing, ranging from innovative public-private ambulatory initiatives to cutting-edge funding for hospitals. Bill began his healthcare career working for the U.S. Department of Health, Education and Welfare. Speaker, “Elections and Digital Democracy: Making Sense of the 2018 Midterms and the Current Political Environment,” Cain Brothers 2018 Healthcare Conference, West Harrison, NY, Sept. 27, 2018. Presenter, “Learning from Each Other: The Roles of States in Transforming Their Health Systems,” National Governors Association, Washington, D.C., January 2014. Moderator, "State Leadership in the Context of the Federal HIE Agenda: NHIN and Aligning Standards, Policies, Incentives and Resources with State Efforts," State Health Information Exchange Leadership Forum, Alexandria, VA, May 2010. Presenter, "Health Information Technology and the American Recovery and Reinvestment Act of 2009," Weill Cornell Medical College Fellowship Program in Health Care Quality and Medical Informatics Research, New York, NY, May 2010. Presenter, "State Designation: What Support Will State Designated Entities and Regional Health IT Extension Centers (RECs) Provde Now and Throughout My EMR Deployment?," Healthcare Stimulus Exchange National Event Series, New York, NY, April 2010. Co-presenter, "Stimulating Meaningful Use: Legal and Practical Issues Facing Hospitals, Physicians and Medical Groups," California Society for Healthcare Attorneys Annual Meeting and Spring Seminar, Monterey, CA, April 2010. Moderator, "The Next Wave in Health Care: Using Health Information Technology for Improving Front Line Programs," New York University Wagner Executive Briefing Series, New York, NY, January 2010. Faculty, State Alliance for e-Health 2nd Annual State Learning Forum, National Harbor, MD, September 2009. Panelist, "Applying for Stimulus," Axolotl’s 8th Annual Customer Conference, Las Vegas, NV, September 2009. Speaker, National Committee on Vital and Health Statistics Executive Subcommittee, Hearing on Meaningful Use of Health Information Technology, Washington, DC April 2009. Co-speaker, "Hey, That’s My Data! : Expanding consumer Control over Personal Health Information," Healthcare Information and Management Systems Society Conference, Chicago, April 2009. Co-Author, “Integrating Physical and Behavioral Health: Strategies for Overcoming Legal Barriers to Health Information Exchange,” Robert Wood Johnson Foundation Issue Brief, January, 2014. Co-Author, "Are We Wired Yet? Measuring the Progress of HITECH in California," California HealthCare Foundation, December 2012. Co-Author, "Stage 2 Meaningful Use Proposed Rule: Will it Advance the Meaningful Use of Electronic Health Records?" BNA's Health IT Law & Industry Report, April 2012. Co-Author, "Supreme Court Strikes Down Vermont Prescriber Data-Restriction Law," BNA, Inc., July 2011. Co-Author, "Accountable Care Organizations in California," California HealthCare Foundation, July 2011. Co-Author, "Health IT Law & Industry Report: Meaningful Use and Certification of Electronic Health Record Under the HITECH Medicare and Medicaid EHR Incentive Programs," BNA, Inc., January 2010. Co-Author, "HITECH’s State Health Information Exchange and Health IT Extension Programs: Providing Infrastructure and Support for Meaningful Use of EHRs," BNA, Inc., November 2009. Co-Author, "The Role of Local Governments in Administering Medicaid in New York," Medicaid Institute at the United Hospital Fund, August 2009. Co-Author, "State Regulation of De-Identified Health Information How States Like New Hampshire Are Getting it Wrong on Privacy, Might Kill Healthcare’s Golden Goose," BNA’s Privacy & Security Law Report, 8 PVLR 14, April 6, 2009. Co-Author, "What California Stands to Gain: The Impact of the Stimulus Package on Health Care," California Health Care Foundation, March 2009.